You may not think of Hawaii as a wine-connoiseur’s paradise, but more and more venues are catering to the local and traveling wine-enthusiast. This month, check-out two Hawaii wine events that are sure to please any wine lover’s palate. The Moana Surfrider, a Westin Resort and Spa is celebrating harvest season with the first in a series of monthly wine events this month featuring the wines of Backstage Winery from Napa, Calif. Beachhouse Chef David Lukela has created a special, four-course menu that will be offered from September 12 through September 19. The meal will be paired with Backstage’s 2013 Chardonnay and 2012 Cabernet Sauvignon. The cost is $65 per person, plus tax and gratuity, without wine; and $100 per person (plus tax and gratuity) with the wine pairings. 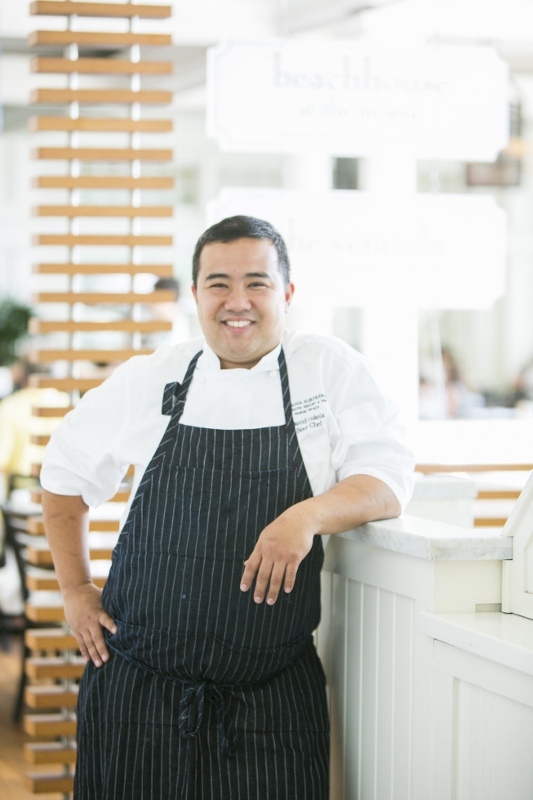 Beachhouse Chef David Lukela creates extraordinary meals to compliment your wine selection. As part of its month-long focus on all-things wine, the Moana Surfrider, A Westin Resort and Spa, is also uncorking a fresh dining concept designed to complement the hotel’s elegant Veranda and its spectacular ambience. Vintage 1901 is a new lounge offering a stellar collection of wine, wine flights, “Signature Sassy Spiked Sangria,” a fine collection of artisan beers, along with a menu of savory bites from Chef David Lukela. Located on the Veranda overlooking the magnificent Banyan Tree, Vintage 1901’s main attraction is the collection of wine assembled by Master Sommelier Patrick Okubo, which offers guests the opportunity to globetrot through different wine flights. Mixologist Joey Gottesman has put together a concoction of wine, combined with four different powerhouse citrus flavors and Grey Goose vodka to produce the “Signature Sassy Spiked Sangria.” Vintage 1901 will also feature tropical libations and a variety of artisan beers. A dish featuring nori-dusted homemade potato chips with smoked crème fraîche. The meal prepared by Chef David Lukela is created especially to pair with the featured wines. “Vintage 1901 is the ideal way to begin an evening at the Beachhouse, or to unwind and watch the sunset,” said Brett Callis, director of restaurants and bars, Moana Surfrider, A Westin Resort and Spa. “No other lounge in Waikiki boasts this view and Chef David’s extraordinary menu. On Thursday, September 17, Backstage winemaker Angelo Pera will attend a reception at the Moana Surfrider’s new wine bar, Vintage 1901, sharing his story about his winery and his celebrated wines. He will be available to meet patrons beginning at 5 p.m. At 6:30 p.m., he will be at the Beachhouse speaking with guests who choose the special menu featuring Backstage wines. 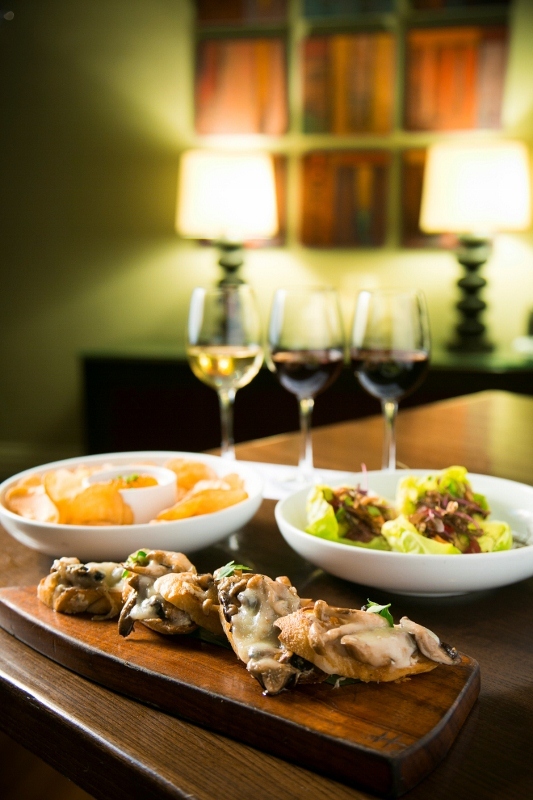 For more information about any of the hotel’s latest wine events, visit www.moana-surfrider.com. You may not come to Hawaii just for the wine, but we bet you’ll be pleasantly surprised by the variety and quality of the wines at these two extraordinary Hawaii wine events.